Hope you like to wear black. Not only is Halloween set in the most wonderful time of year, but it also makes me want to curl up with a blanket and watch Halloween favorites such as Halloweentown, Hocus Pocus, and any Tim Burton film. Watching these old movies time and time again always reminds me how interesting and fabulous the witchy outfits were. Shades of black, garish lace, and vibrant stylings all pay homage to the edgy women who wear them. I mean, is there anything more iconic than Wednesday Addam’s peter pan collar? 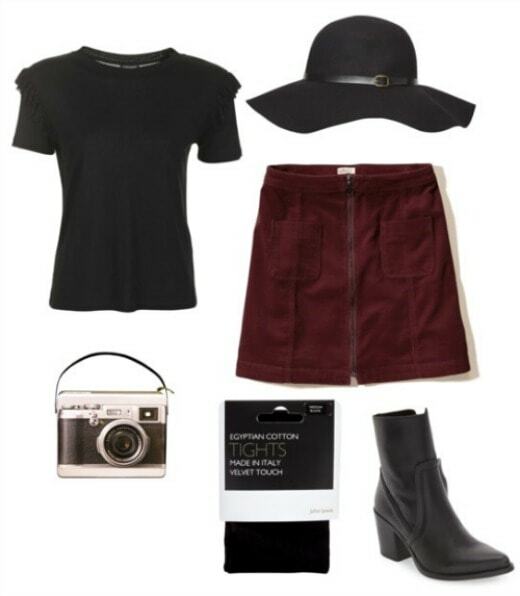 Although you’d have to be quite daring to wear witchy outfits straight out of the movies, a nod to the stylings of Halloween films can get you into the autumn spirit and give your early fall wardrobe some darker, moodier vibes. In the spirit of the Halloween season, I’ve put together three wear-now outfits inspired by wonderfully spooky women in film. Ah, Lydia. 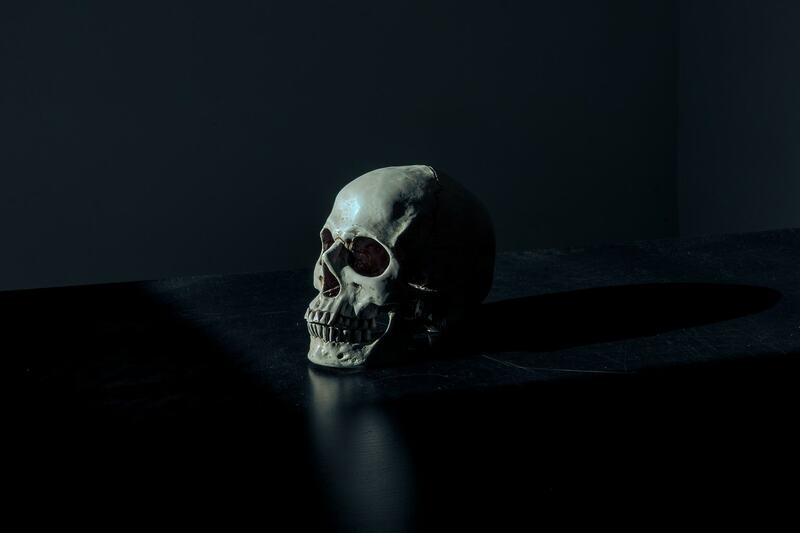 The strange and unusual goth who moves from New York City to Connecticut with her parents in hope of a better life. Lydia is fascinated by the paranormal, and closely relates to otherworldly spirits. 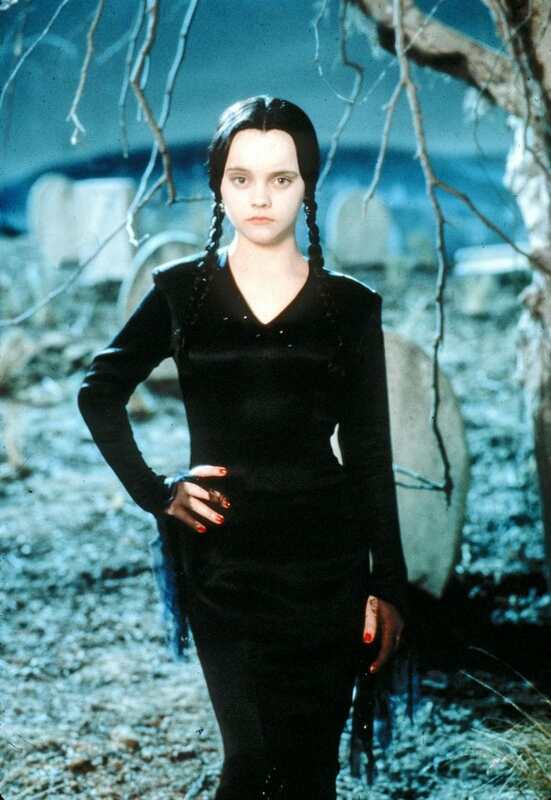 Wednesday is inarguably the queen of Halloween. The Addams family is macabre and eccentric -and Wednesday is no exception! Wear Wednesday’s iconic collar in this cute detailed dress. Play up the girliness factor with some strappy heels (in pink – sorry Wednesday!) and a bright red nail polish, Wednesday’s choice color. These adorable hair ties will help keep your braids in place. I have been loving these Disney live action films. 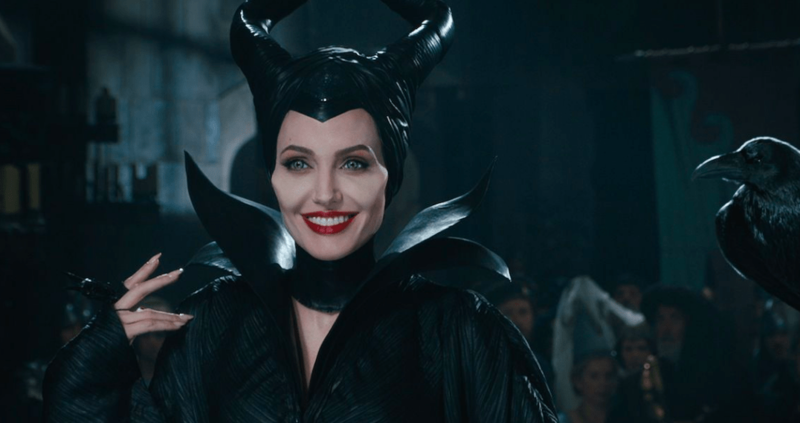 Maleficent is no exception-Angelina Jolie was hauntingly perfect for the role! This visually stunning film gave us an insight into Maleficent’s evil nature, and provided us with some killer fashion inspo, too. During the film, Maleficent wears sweeping dresses, always in black. 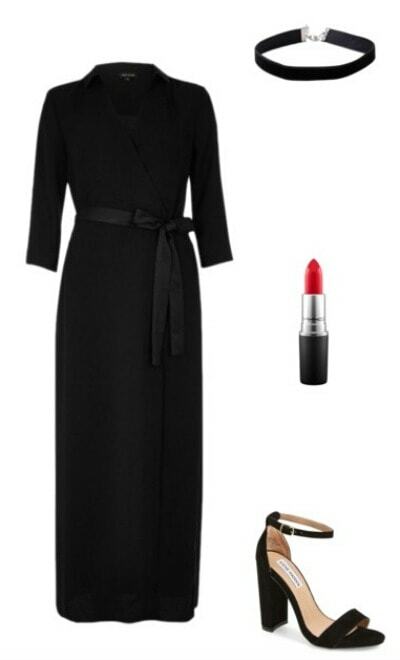 Her look can easily be achieved with a black maxi dress, some fierce heels, and a ever-so-trendy choker. Maleficent’s makeup was extraordinarily beautiful (those cheekbones!!) so play up your makeup with some satin red lipstick. 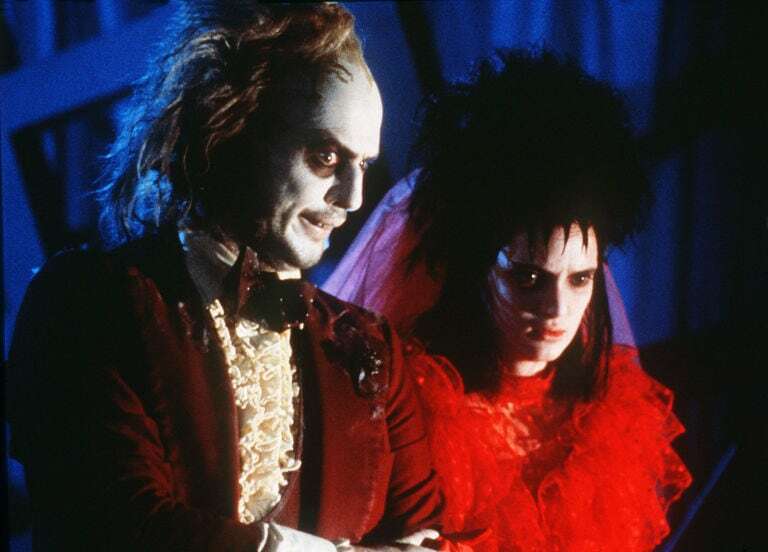 Who is your favorite Halloween character? What spooky style do you like best? Which villainess do you love most?